NeuroRestorative Maine, a partner of The Mentor Network, is seeking drivers who will provide transportation and direct support services to our participants in Standish. Transportation will include daily trips to our outpatient clinic located in Standish, medical appointments, outings, etc. This is a full time position with benefits. We will provide all the necessary training and support to be successful in this role. Applicants must have a valid license, a clean driving and criminal background record, and a minimum of a high school diploma or equivalent. Experience working with people with brain injuries and/or disabilities an asset. NeuroRestorative Maine offers Neurorehabilitation, Neurobehavioral and Supported Living programs for adults with brain injury and other neurological challenges. 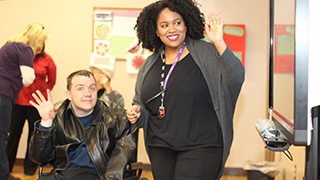 These programs enable participants to receive the appropriate level of supervision, services and supports based on their individual rehabilitation goals. Every person needs the support of others, but we look for very special people to support adults with brain injuries. As a Driver with NeuroRestorative, you’ll be one of those special people. For NeuroRestorative and The MENTOR Network the Driver is critical to our success and exemplifies the wonderful mission driven work we do here every day. To that end, the Driver role is a fantastic way to continue your career path in Social and Human Services with a myriad of career options to move up and across the organization. NeuroRestorative is seeking a Driver to provide safe transportation of individuals served, families, and agency personnel as needed to any/all agency programs or functions. This position will assist staff in supervising individuals during functions, ensure cleanliness and upkeep of vehicle, and may perform additional custodial and building maintenance tasks when not driving.